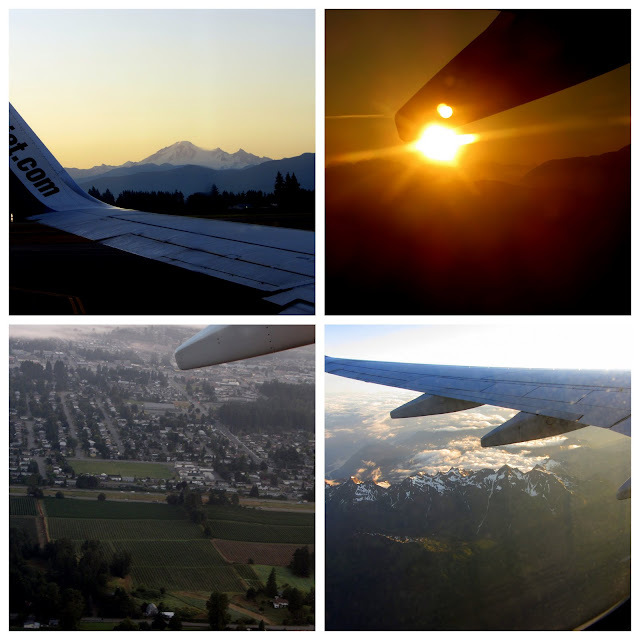 Kathy and I left from the Abbotsford airport on the 6:30 flight. We left behind the berry fields and the coastal mountains and headed towards the sun in the east. 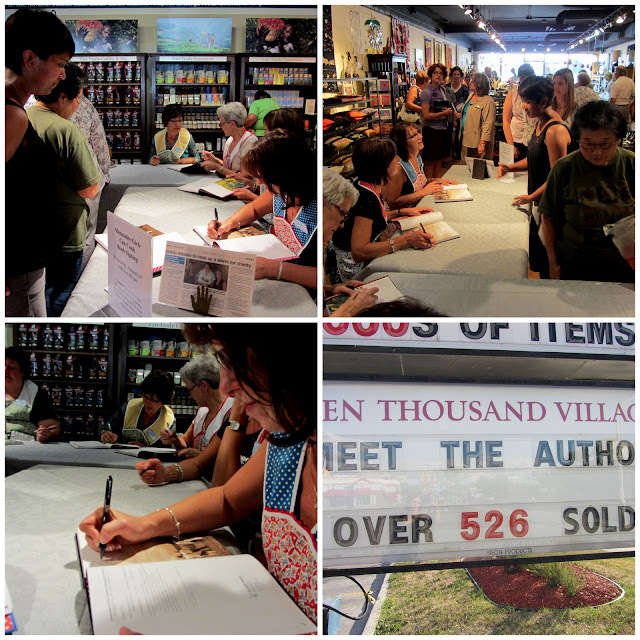 We switched planes in Calgary and landed in Winnipeg half way through the first signing at the Ten Thousand Villages. Betty's John was there to greet us and rushed us to the waiting vehicle . .tucking our carry-ons in the back and off we were. We signed at both Ten Thousand Villages stores in Winnipeg and our assembly line was kept busy for two hours at each store. I am still amazed that anyone comes to have their book signed and to think that there is a line up for two hours is just beyond anything I could have imagined. Such dear people all with stories of why they bought the book ...what they have made from the book. .
who they are giving the books to for Christmas. .birthdays. .weddings. .and often have specific requests for which pages they would like signed and what they would like us to say. At the end of day one. .
we went to Charlotte's home for dinner where we met her family and found a beautiful dinner waiting for us. The three beautiful girls in the photo are ones we feel we already know. .
though we met them in person for the first time. The one on the left is Ellie. . .she is indeed very special to me since she introduced Charlotte to my blog. The two girls standing on either side of the table are Charlotte's daughters. These dear ones. . .
met us with such warmth. . .
made the beautiful dinner and when we were finished. . Still . 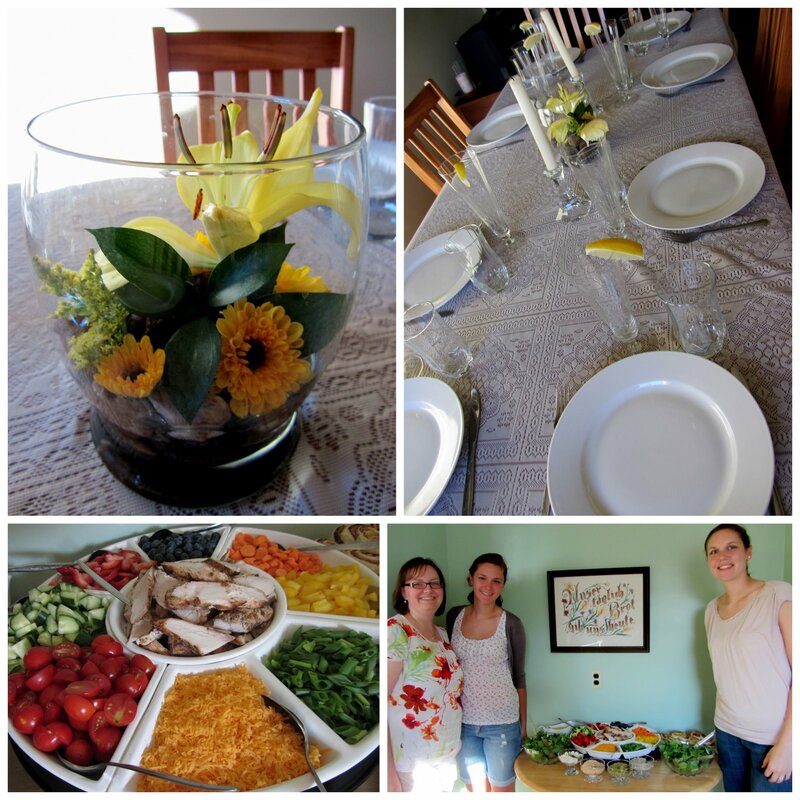 ..I am always finding new and delightful surprises in my friendships with these dear nine girls who are called the Mennonite Girls Can Cook. One of your books will be landing in Brazil next weekend. For my Mom's Birthday. I almost feel like we joined you at Char's that night! How nice of her 'girls' to welcome you like that. Perfect recap, Lovella, makes me really wish I could have been there ! I love those aerial photos !! You are getting to see parts of the world that I have never seen. Thanks for sharing it all. I love seeing hospitality in action, especially in all parts of the world. What a beautiful tribute to Char and the gals in her life. I,m sad that my place name is missing.. I love your take on all of this Lovella. I'm sure that each person lining up with a book must have felt so very special as you and the others signed.